tvN Asia’s travel and food original production One Night Food Trip – International Edition 2 has concluded its trip in the Philippines earlier this Monday and is moving to its second stop, Taiwan. The Taiwan segment will premiere on tvN in Asia on 27 August (Monday) at 18:00 (GMT+8) with 2 episodes back-to-back. Opposing to Team I.G. is Team Chri7ven formed by Se7en and Christina. The team starts off with the famous southern city, Kaohsiung, clearing all the savoury dishes such as the hottest among locals, Cotton Candy Sukiyaki and traditional steam-rice pudding, Wanguo. Besides, the production crew also prepares a must-eat item under the sizzling Taiwan sun – shaved ice topped with seasonal fruits, for them to get rid of the midday heat. However, what they receive is not just a tiny bowl of shaved ice, but a gigantic bowl that serves 30 people! This is indeed a “surprise gift” from Team I.G. after they have successfully finished a mission. The impactful image of this 22kg mountain of shaved ice certainly leaves the team speechless and trigger them to think of an ultimate pay back! Can Team Chri7ven successfully complete this huge “present”? And what will be their revenge on Team I.G.? Stay tuned to follow their food battle! tvN Asia’s original production One Night Food Trip – International Edition is a spin-off of the popular CJ ENM format of the same name; international edition introduces local Asian celebrities to create relevance to its target audience. This season, the 16-episode travel show brings audience to the Philippines, Taiwan, Korea and Malaysia. 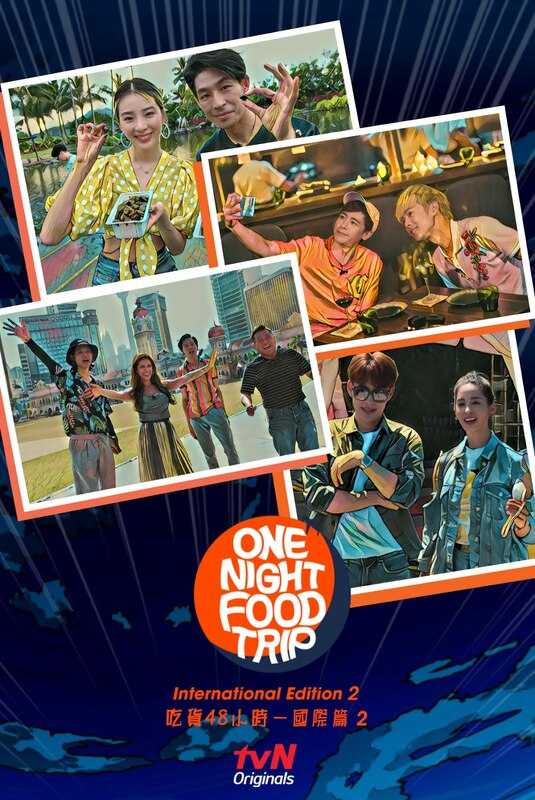 One Night Food Trip – International Edition Taiwan segment will premiere on tvN in Asia on 27 August (Monday) at 18:00 (GMT+8) with 2 episodes back-to-back. tvN is available in Hong Kong, Singapore, Taiwan, Malaysia, the Philippines, Thailand, Indonesia, Myanmar, and Sri Lanka, with subtitles in English, Chinese, Bahasa Malaysia, Bahasa Indonesia, and Thai. tvN, where fun takes off!